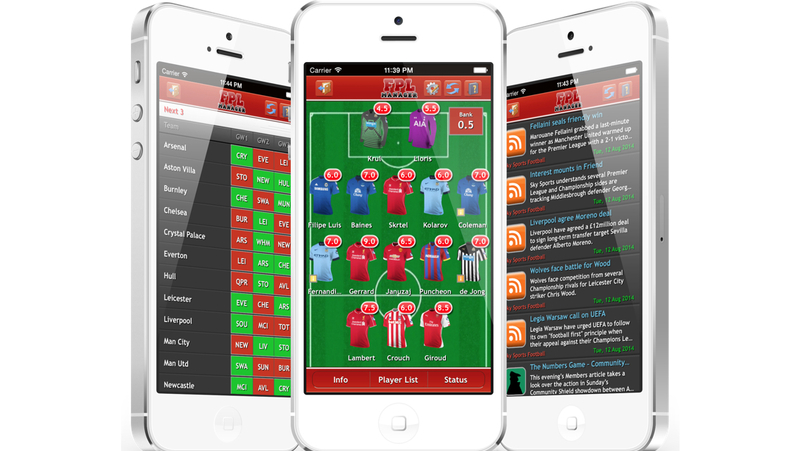 FPL Manager – The Ultimate Fantasy Premier League App. 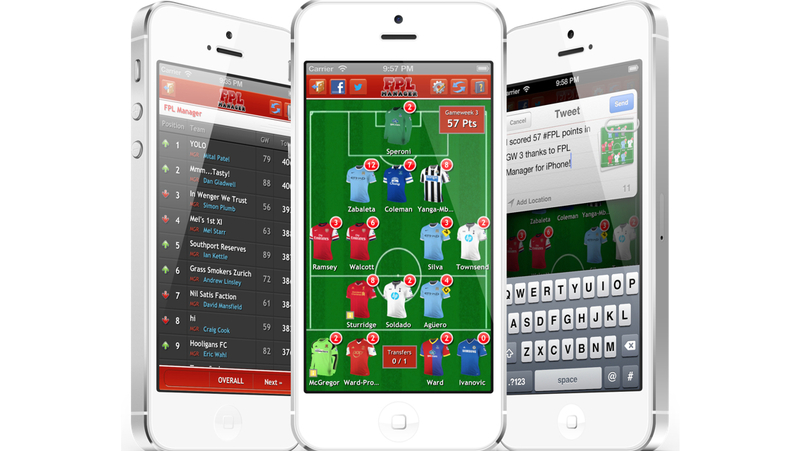 The unrivaled Fantasy Football app for players of the official Barclays Fantasy Premier League (FPL) game. 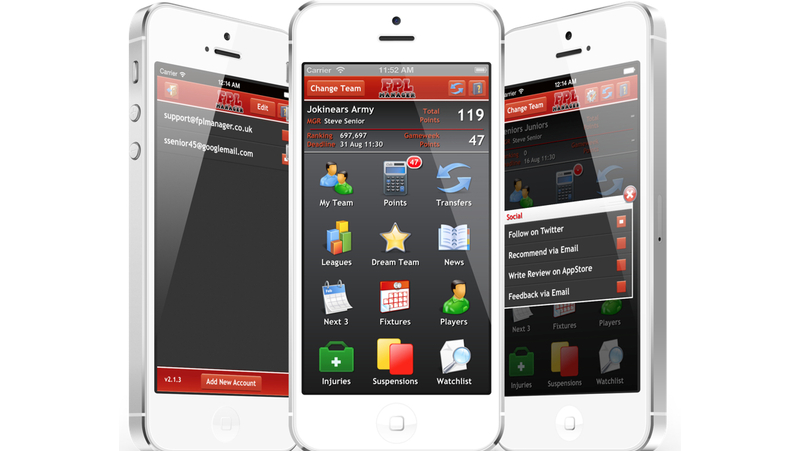 Makes managing your team on the go a breeze and ensures you’ll never forget to make those last minute transfers wherever you are. Packed full of features, news, tips & tricks that will ensure you get the edge over your managerial rivals and climb to the top of your mini leagues. Manage: Drag and drop management of your team. Full transfer functionality including wildcards. Latest points for the current and previous gameweeks. Leagues: All of your important mini-leagues accessible in one place. See how you are doing compared to your FPL managerial rivals. Players: Full player database search. 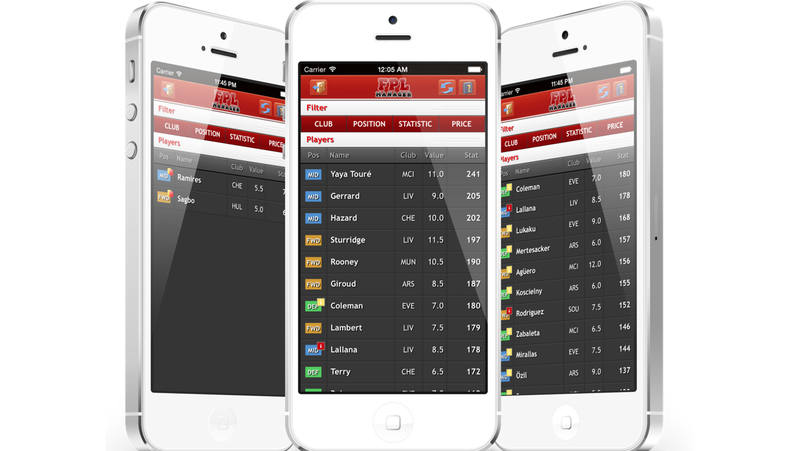 Interactive filtering of players ensures finding the next transfer target is effortless. Suspension and Injuries default views. Add any player to your personal watchlist. 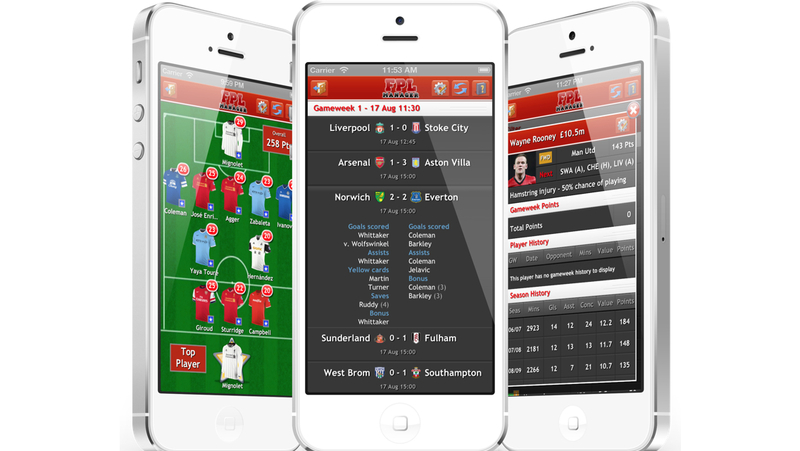 Fixtures: Full fixtures and results built in to the app. Watch results come in on matchday and see who has scored those all important points. View of next 3 fixtures for all teams facilitates careful transfer selection. 2. Purchase once & lifetime free updates vs. Purchase new app every season. 3. Native iOS app = responsive & fluid UI vs. HTML5 app which is cumbersome and has a frustrating UI.